Mono and Stereo High-End Audio Magazine: NEW NAGRA HD DAC X! NEW NAGRA HD DAC X! Nagra strikes again. They’re revealing HD DAC X at the RMAF in Denver. It’s Nagra’s most ambitious D/A converter ever! 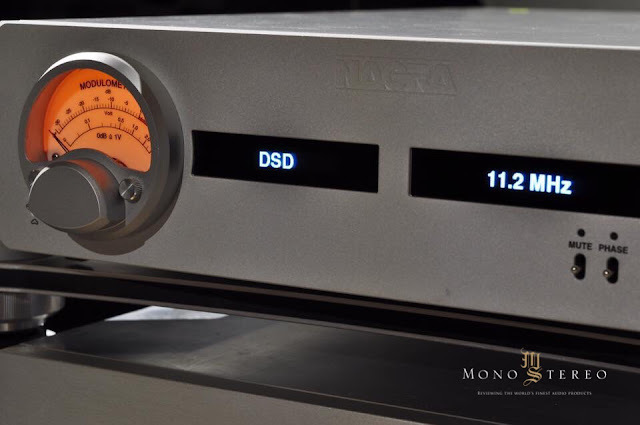 “The HD DAC has set new standards in terms of analog like reproduction. It has been acclaimed as the “Everest of Audio” by the French magazine Haute Fidélité and has received numerous awards around the globe. It is used daily in mastering studio and at many lucky customers’ houses. So it took a lot of energy and dedication to improve this design.